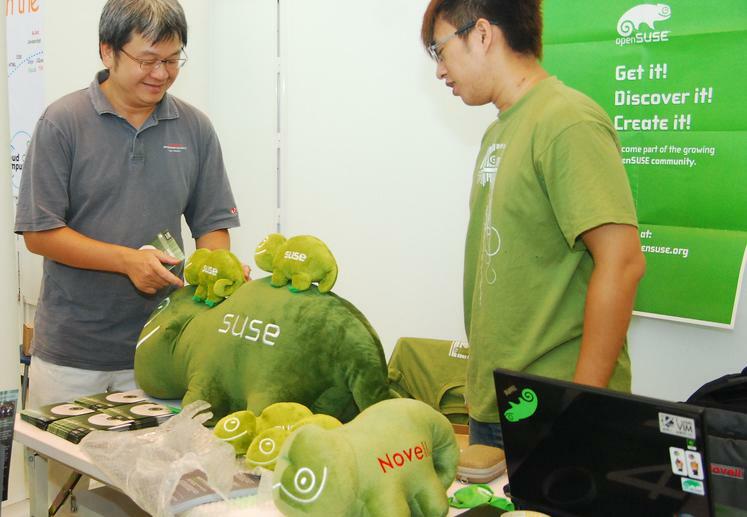 openSUSE welcomes Google Summer of Code 2014 participants. Thanks to Google, openSUSE has an excellent number of slots and an equally excellent number of mentors and students for Google Summer of Code 2014. Throughuout the summer, students participanting in this program will code for openSUSE and its sister organizations ownCloud, MATE and Zorp and help them move forward. The best part of GSoC is that most of the code written by students will go upstream and will benefit openSUSE in general also. 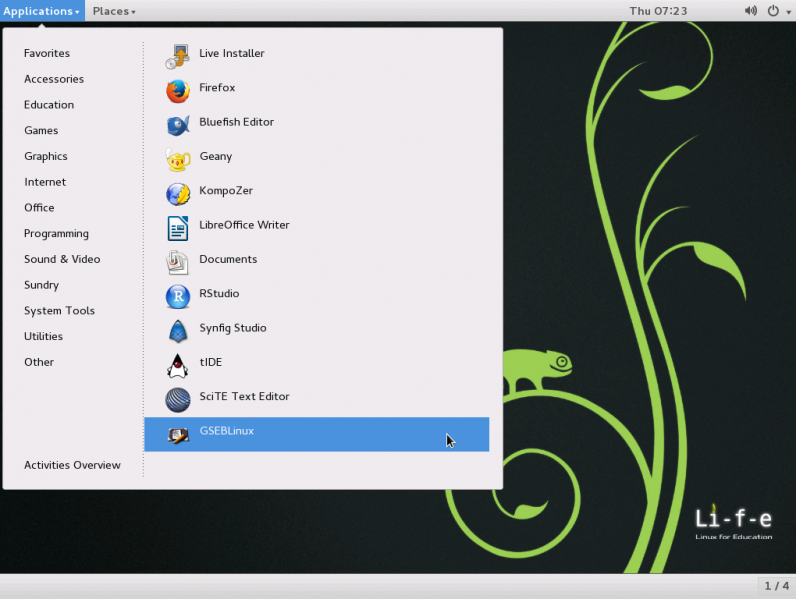 Along with this, we have an equally good range of projects that will improve the existing openSUSE architecture. In the following weeks we will talk a lot more about these projects and get to know these students well. Lets brew some code now. 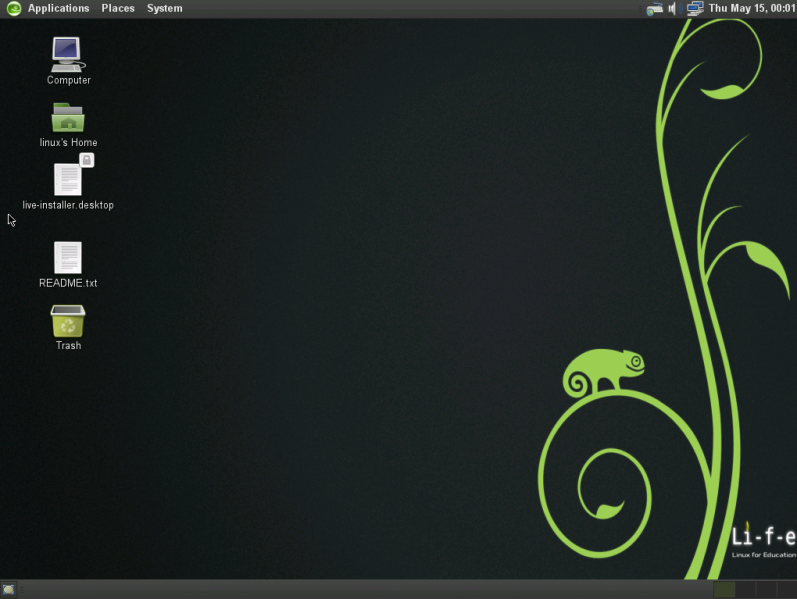 What Will openSUSE 13.2 Default Wallpaper Look Like? Eppur si muove! Even though we sometimes feel there’s a sort of a standstill once first major bugs are fixed in a new release and it settles on our machine, that’s not the case by any viable metric. The openSUSE team works diligently on delivering a new release (openSUSE 13.2) ever since 13.1 was released, and among them, we find the artwork team, which is brainstorming the creation and subsequent selection of the new default wallpaper of the next openSUSE release (the awesome picture your desktop defaults to after installation). Spreading the Word on the Geeko – Support is Back! Spreading the word about our project has again become a little bit easier. As announced during the Opening Keynote at oSC14 the reimbursement program for locally produced materials is BACK! We would like to thank Jim Henderson, who will lead the team, Shawn Dunn, and Alexandros Vennos for volunteering their time to manage the requests. The program is funded with up to $200 US per event with a limit of $2000 US per quarter. The initiative is no limited to events as in small local conferences. 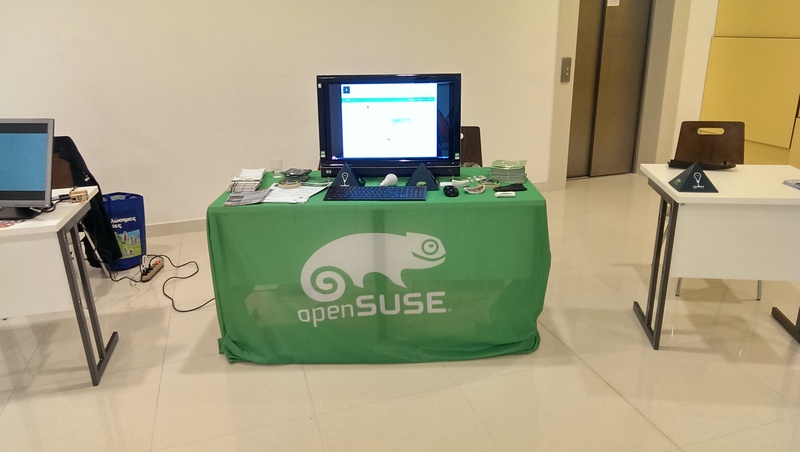 If you need material for a local LUG meeting or if you can produce material for a “permanent” display of openSUSE in a University or other public place of interest use this program. The process is outlined in the wiki and will share the Travel Support Program application. Basically you will need to submit a request through the application prior to the time of need. The team will evaluate the information and get back to you in a reasonable amount of time. The team may also decide that it may be worth sending out a booth box instead of producing material locally. If you accept the booth box the request will be handled for you if booth boxes are available at the time. After you have approval you can go ahead and produce the material for the event/promotion campaign. Once the event is completed provide a report, blog post on lizards or your own blog for example and submit your receipts. That’s it. For permanent displays, the “event” is obviously “never” over, thus you’d just submit your receipt after you setup the display (hang up the posters), send along a picture and some advertisement, possibly on social media and that’s it. We tried to keep things as simple as possible while still assuring that there’s some verifiable bang for the buck for our project. After all having posters hanging in someone’s basement does not hep us find more users or contributors. A word on the booth boxes and larger events. A list of events where we would like to have people represent our project is in the works and will soon appear on the wiki. Booth boxes for those events have been set aside. Keep an eye out for an announcement about the events list and a call for advocates to represent the project. 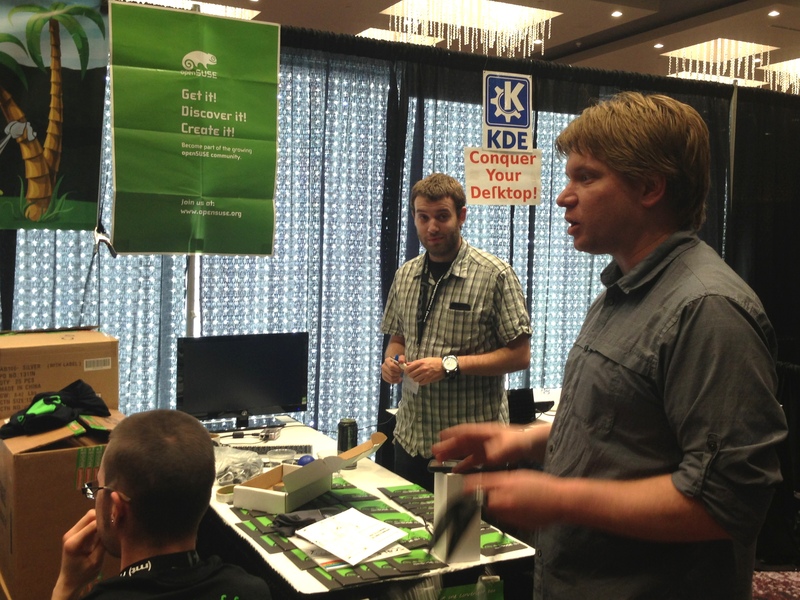 As a hint, OSCON is happening from July 20-24 in Portland Oregon and we have no one yet organizing a local team to show off openSUSE. The local production reimbursement program is live and you can start using it today. As we are just starting out there are bound to be some rough edges, thus please be patient, provide as much feedback as possible about the process and the handling of things to allow everyone involved to improve the initiative for everyone that might want to take advantage of it. Posted in Announcements, Board, Events, Project | Comments Off on Spreading the Word on the Geeko – Support is Back! Why should I need my own server? The first is fun. It’s fun to use openSUSE Linux to manage a server. It’s fun to ba able to say to friends “I have my own web site, I can manage one for you if you want”. It’s fun to be able to setup the computer to fit your precise needs, without having to cope with shared hosting never having the good php version or refusing ssh access. It’s fun to learn how to manage such a frightening beast, it’s fun to reach a new knowledge level. The first thing one try to do is manage it’s own server at home. It’s easy, most of the time any old hardware do the job -my first one was a 386 laptop with broken screen- (yes, a server do not need screen). Along the years, I have tested many partitioning schemes, and turn back to the simplest. Fact is on a remote server it’s difficult to manage several installations, like one do with dualboots –you don’t have access to a boot menu! You can have one or two disks, the goal of two disks being to use raid 1 -my provider offers free change of damaged hardware- but one have to reconstruct it’s own raid. Using half the disk size as raid is pretty expensive, and simply having two disks for raid usually makes you shift to an other price list. I simply do not see any real reason to use raid on such server. After all if my personal server is out of business for some hours, nobody will notice (or nearly), We will see later than I use an other server as a backup. The very first thing you have to do is update your system. The first install is always from initial data and a server have to be uptodate. As soon as you have zypper, do a “zypper ref & zypper up”, Be prepared to see things shine, you get a semi-professional bandwith, at least. Mine is 100Mb symetrical, pretty pleasant.